Want to punch up your presentations? Employers Cite "Getting Along with Management"
Getting along with the boss is more important than pay or benefits when it comes to happiness at work, a survey by Accountemps suggests. Forty-three percent of executives polled said employee job satisfaction is most impacted by one's relationship with his or her manager. Accountemps, the world's first and largest specialized staffing service for temporary accounting, finance and bookkeeping professionals, developed the survey. It was conducted by an independent research firm and includes responses from 150 executives with the nation's 1,000 largest companies. "Employees are most productive when they feel their contributions are valued and their feedback is welcomed by management," said Max Messmer, chairman of Accountemps and author of Motivating Employees For Dummies® (John Wiley & Sons, Inc.). "The reverse is also true -- an unsupportive atmosphere can lead to reduced performance levels and higher turnover for businesses." • Establish open lines of communication. Schedule one-on-one and team meetings regularly so that staff can contribute to business decisions. Employees want their questions, concerns and ideas to be heard -- when someone on staff has a good suggestion, act on it. • Empower them. Show trust in your team by giving them the authority to make decisions. Be available when needed, but allow your staff flexibility in how they accomplish business objectives. • Stand up for employees. Support your staff when they encounter roadblocks. If someone on your team makes a mistake, avoid rushing to judgment. Instead, help the person learn from the situation and take steps to ensure it doesn't happen again. • Recognize achievements. Praise employees for their accomplishments and reinforce the behaviors you would like others to emulate. Low-cost rewards such as an occasional free lunch or movie passes can be highly motivational. • Provide advancement opportunities. In addition to competitive compensation and benefits, invest in training and development programs to help employees build new skills. If budgets are tight, look for other ways to promote career development, such as a mentoring program. "Regrettably, some of today's less informed job seekers believe that the Internet has transformed the job search into a nearly effortless process. They hastily update their resumes and post them on several online databases. These jobseekers then sit back and wait for an employer to call. Most of them wait a long, long time -- often in vain. Even in the age of the Internet, a job search still requires hard work. Having a plan, using multiple search methods, and asking for help all increase the chances of success." We must remember to tell our clients: There is no right way or wrong way to look for a job. There are just more effective and less effective methods. I have to admit, I don't like writing Information Technology (IT) resumes. Unfortunately, I find myself doing it more often than I like. This article, which I call "Introduction to Programming: A Guide for Resume Writers" was written to help HR professionals understand IT candidates. It also provides resume writers who are not very familiar with the IT field with a good basic foundation for assessing their clients strengths. Companies Looking to Define "Applicants"
In an article in the September 2002 issue of HR Magazine, there was a profile of a company called Air Products that had difficulty meeting federal government standards for tracking applicants. Because they receive more than 30,000 resumes per month, they needed a way to narrow down the number of people they considered true "applicants" to comply with requirements for their company as a federal contractor. "A person visits the Air Products web site to peruse openings. Then he creates a personal profile -- essentially a resume -- and attaches it to an opening in which he is interested. Air Products recruiters can access only those profiles tied to positions. (To try the system, visit the Career Center portion of Air Products' web site). If the site visitor is interested in more than one opening, he attaches his profile to each position. Each application then shows up in the recruiters' database. Once an interested person has attached his resume to a job, it remains on the site and can be reused. Unattached profiles are also stored but are not accessible to recruiters. A visitor who doesn't find an appropriate opening can set up a software agent that will send him an e-mail when one is posted." Air Products now defines "applicants" as anyone who has filled out a profile and attached it to an opening." "Air Products recruiters will not accept paper resumes - no exceptions. "We posted a vice president position and got 158 applications in six days, "Brockington recalls. About a half dozen would-be applicants tried to circumvent the system by sending a resume to someone they knew in the company. "I told those applicants 'you have to go online,' and all of them did." As the population ages, so does the possibility of age discrimination in the job search. Quint Careers has compiled a list of companies recognized by AARP for "valuing the mature worker." Here's a link to the AARP web site with more information about the "Best Employers for Workers Over 50." 1. Open the client’s original resume file (in any word processing program). 2. Convert all text into a non-proportional font. From the “edit” menu, choose “select all.” Choose Courier font, size 12. 3. Adjust the margins so there are no more than 65 to 70 characters on any line. Set the right margin to 2” and the top, left and bottom margins to 1”. 4. Fix problems created by substitutions for non-keyboard characters. Replace bullets and font-based characters (such as Wingdings or Zapf Dingbats) with keyboard characters such as ? ?, *, -, -- or (+). 5. Create sections by adding spacing. Put two lines before topic headings (such as “Education” and “Work Experience”). Also use visible keyboard characters (such as ####, ----, ====, ~~~~, or >>>>>) to separate out topic headings. 6. Make sure everything is lined up in one column. If you used multiple columns or tabs in the formatted résumé, remove them, as the formatting will not come through on the ASCII version of the résumé. 7. Remove extraneous information — such as “continued” notations, second headers for second pages, page breaks, etc. 8. Save the file again. Then close the file, open it up one more time and check to assure all changes were made. This is a clever article with insights into improving your marketing, based on the Jolly Old Elf's techniques. Santa knows his customers, we don't mind him invading our privacy, he's very generous, his brand is consistent year after year, he stands out in a crowd, and customers understand his benefits. Can this all be said for your business? Have you ever sat down to write a marketing plan and your mind goes as blank as the white sheet of paper sitting in front of you? In this article you’ll learn how write an effective marketing plan that’s simple to create and that will get you results. 1. Publicity Marketing Plan – In this plan you’re going to write down the activities you’ll do to spread the word about you and your business through the media. This includes pitching stories to the press and writing press releases on a consistent basis. 2. Promotional Event Plan – The promotional event plan includes different promotional activities such as, having sales if you’re a retailer, or sponsoring contests, awards, or events. 3. Joint Venture Marketing Plan- Your joint venture plan includes things you can do with other businesses to promote your business. For instance, I have a good friend that sells burial plans and has teamed up with the VFW to market to their membership. That’s a joint venture. 4. Referral Marketing Plan - Every small business should have a referral marketing plan seeing as how it’s the most popular way for small businesses to get new customers. Your referral marketing plan will include specific referral programs that you plan to roll out this next year. 5. Internet Marketing Plan - Every small business should be on the web and actively engaged in promoting their products and services on the web. 6. Advertising Plan - Not every small business advertises but most do, so you should plan where you’re going to advertise and how much advertising you’ll be doing. 7. Customer Marketing Plan - A customer marketing plan helps you think about how you’re going to keep in touch with your customers and what types of targeted offers you’ll be making to them. Now, these aren’t the only mini-marketing plans you should be thinking about. Service providers often also have a networking plan, public speaking marketing plan, or a volunteer charity or association involvement plan. The idea I’m trying to get across is to break down your overall marketing plan into bite sized mini-plans that help you to crystallize what it is you’re trying to accomplish. Now that you have the titles to these mini-plans all you have to do is start filling in the holes. You see, this method helps you think in terms of marketing activities and the goals you need to set for yourself. Your plan doesn’t have to be perfect, but it does need to motivate you to do something. After all, how good is a plan if you don’t put it to use. © Copyright 2003 David Frey, Marketing Best Practices Inc. Need to find out more information about a client's current (or previous) employer? You can also Google a company name and click on "News" within Google to get up-to-date information as well. So That "Resume" Does Not Equal "Spam"
Send as plain text, not an attachment, unless employer requests an attachment. Send to only one employer at a time. Keep words such as "free," "trial," "singles" and "cash" to a minimum. Avoid subject lines with punctuation, all caps, or buzz words above. Make sure there is a valid address in the "reply to" field. Don't use an e-mail address with too many numbers. Thanks to Joyce Megginson Kircher for these tips! Trade publications can be a great way to get your name in front of prospective resume clients in a particular industry or market niche. However, never pitch a story idea to a trade magazine, or any magazine, unless you've read the publication first. But before you pay for a subscription, check out TradePub.com. It includes a list of about 300 trade publications that are free to professionals who qualify. Browse through the list by industry, title, key word or geographic eligibility to find the titles that best match your skills and interests. Then complete the application form and submit it. Once you're familiar with the magazine, consider sending an educational careers article on your area of expertise ("Top 10 Tips for Engineers Seeking a New Job"). Many trade journal editors love these articles. They're cheaper than buying an ad, and they're far more credible too. Click on the "CDs/Transcripts" category or use the search box to search for "trade journals." Resume Writers Who "Write While You Wait"
When I first started out writing resumes (for profit) in 1996, I did them, "While You Wait." The client would sit down next to me, and we'd bang out the resume together. I quickly learned it wasn't a successful strategy for me. But it might be for you. • Make more money per hour (you're likely to spend less time writing if the client is with you -- there will be fewer distractions, for one thing). • Serve more clients. Instead of having separate consultation and writing time, it's combined, so you can work with more clients. • Meet client deadlines. It's hard not to, when the client sits there expectantly. • Make rush fees. Now, instead of rush fees on turnaround, charge a rush fee for a same-day or next-day meeting, instead of a next-day delivery. • Spend more time with your clients. You won't be in as much of a rush to get clients out the door -- because you'll be working collaboratively with them to uncover their resume information right there. • Spend more time on marketing. Anytime you're not meeting with clients, that's when you should be marketing (within reason, of course). But you won't have to block out separate marketing and writing time. • Gives you more free time. You can truly run a 9-to-5 business if you only accept appointments during those hours. All writing will be completed during that time as well! • You'll be able to focus your time with clients. You're directly collecting the information that will be used on the resume, so you should find it easier to fill in the gaps than if you're collecting information to write later. Sometimes the hardest part of the resume writing process is the challenge of writing a great resume every time. It can help to envision the resume as a story with a solid beginning, middle and end. Like a storyteller, we weave the tale together. How did this person get to where they are today? Phrases such as, "Recruited to..." or "Selected to..." show a desirable candidate being plucked from the masses, while phrases like "successfully transitioned to" show growth and movement. Don't be afraid to be evocative in your writing. Infuse it with excitement and energy and watch the tale unfold. A client came in recently with a resume that was four pages long -- plus a half-page "addendum" that covered his current job. The resume was on in true "obituary" form, dating back to his experience teaching junior high in 1973. He was now in sales. My number one challenge with this client? Focusing on what was relevant to the position he wanted. As I sat down to tackle the rewrite, I was reminded of the story of the sculptor who, when asked how he created such a magnificent piece of art said, "I just started with a block and chipped away at everything that didn't belong." So it was with this client. His original four-page resume had been created by a professional resume writer, so it was full of accomplishments -- and a "summary of qualifications" that took up half a page. The problem was, that resume writer hadn't forced the cilent to focus on the things that would be important to a prospective employer. So I did what the sculptor suggested: Looked for things that didn't belong. The result was a concise, focused resume that helped prospective employers quickly identify how this top-producing salesperson could be a valued asset to their company. Includes links for hundreds of U.S. and international job fairs, plus articles on how to incorporate job fairs into a successful job search. (Note: some links are outdated). 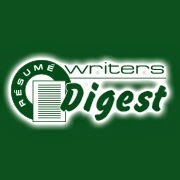 For several years, I conducted an industry survey through Resume Writers' Digest. I thought you might be interested in seeing the profile of the industry back in 2001/2002. • The average resume sale ranges from $40 to nearly $6,000, with most falling in the $150 to $400 range. • The average survey respondent is a self-employed sole proprietor who works full-time (35 to 50 hours per week) from a home office. She (the respondents were overwhelmingly female), has been in business for nearly nine years. • December is the least busy. • Most survey respondents offer at least one other service --- most often career coaching (66 percent) or desktop publishing or secretarial services of some sort. In addition to editing Résumé Writers' Digest, I'm a practicing résumé writer in Omaha, Nebraska. I don't have any competitors. That's not to say there aren't other résumé writers in Omaha -- to the contrary, there are a handful -- but I don't consider them my competitors. I consider them my "co-opetitors." I can't claim credit for coining the phrase -- I picked it up at a résumé writing conference -- but I can take credit for putting the principle into practice. In my 14+ years of résumé writing experience (the last 11 years in my own business), I've found there are certain kinds of clients I like -- and some that I don't. For example, despite the proximity of Offutt Air Force Base to Omaha -- and, consequently, the large number of "separating" Air Force personnel -- I don't particularly enjoy writing military transition résumés. So one of the smartest things I ever did was to call the other résumé services in the phone book, introduce myself and ask if they did military transition résumés. After speaking with several, I found one who I felt comfortable recommending. Since then, I have referred these clients to her. My co-opetition is also useful for when I get busy (to refer overflow work) and for increasing the profile of résumé writing as an industry here in Omaha (with a population of 600,000 in a 30-mile radius, there's plenty of work to keep us all busy!) by mentioning the importance of choosing a professional résumé writer when seeking publicity. As Chris Miller, CEO of 6FigureJobs.com mentioned at the CMI conference in San Diego a couple of years back, one of the biggest challenges facing résumé writers and career coaches is lack of recognition -- if people don't know that our services exist, they won't seek us out. The more professionals there are, the bigger voice we will have. I'm working to educate my fellow Omaha résumé writers about the importance of professional association membership and certification … think about doing the same in YOUR community. Believe me, it will benefit us all. I was talking to a fellow resume writer in Georgia today (to clarify, she lives in Georgia -- I still live in Nebraska) about how she got started in her business. She started out as a technical writer, and continues to do copywriting and technical writing in addition to her resume writing. That brings me to today's "idea" -- to keep your writing fresh and yourself "engaged" in your work, consider diversifying! Pursue "writing work" that is not necessarily resume writing. This can include corporate bios, copywriting, and technical writing. One of the most interesting works I've ever written was actually a bio/profile for a former astronaut who wrote a book and is now a fairly sought-after speaker. I got the assignment through a local speaker's bureau, which had contacted me about doing these sorts of bios after finding me under "Resumes" in the phone book. But you don't have to wait for people to call you -- reach out to get these kinds of (lucrative!!) assignments. Send a cover letter, samples and your brochure to speaker's bureaus, public relations agencies and directly to companies. Emphasize your ability to develop short bios for speech introductions and board profiles -- and longer bios for company backgrounders and press kits. Recently, on one of the resume writing professional association e-lists, there was a discussion about a client who seemed to be depressed and unable to find work because of this. The resume writer was trying to find a way to help the client, but realized she was not a mental health professional with the skills necessary to help this client overcome his depression and get working on his job search. I'd like to offer you an idea of how you can help this type of client -- and help yourself develop a potential source of referrals at the same time: Develop a mutual referral relationship with a (mental health therapist) career counselor. One place to start is your Yellow Pages -- look under "Counselors". Look for ones who list Career Counseling (or Career Coaching or Career Testing or Personal Coaching or Goal Attainment) as one of their specialties (If they offer career testing, such as the Myers-Briggs or other career tests, that can be a bonus, because you can refer the client for that -- "I think you'd benefit from having a career assessment test done, to assure we're targeting the kinds of jobs that you'd be most suited for). NOTE: There is also a section in the phone book titled, "CAREER COUNSELING." If you call any of these services, assure that they are mental health therapists, and not just fee-for-service employment services (often, your competitors). For example, in Omaha, Voyager Career Solutions (like a Bernard Haldane & Associates) is listed in Career Counseling (but not under "COUNSELORS" because counselors are mental health professionals who must be licensed in the state of Nebraska). Call and introduce yourself to the therapist. Ask if you can meet with him or her for a few minutes to get an idea of the services he/she provides and to pick up some of his/her brochures and business cards for making referrals to him/her. Tell him/her what you do and that you want to be able to refer clients to him/her who are in need of services beyond your scope of services. (Add him/her to your mailing list for your client newsletter too). While I was in college, I worked at a local mental health counseling agency. One of the therapists there did career testing and career counseling. 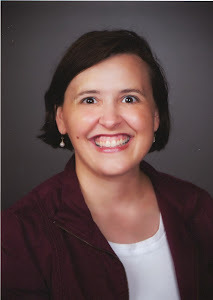 When I started my resume writing business, she was (and still is!) a fabulous source of referrals. Obviously, she's not competition, because she doesn't write resumes. I'm not a true "career coach" although I sometimes coach my clients. We collaborate on "action plans" for our mutual clients -- she gives them direction, ideas, motivation and support -- I put the plans into action (resumes, cover letters, electronic resume distribution). You can cultivate multiple relationships like this. She and I also offered a free joint morning seminar on "Career Power" that attracted media attention and prospective clients. But start developing these relationships now, before you need it. Then you can confidently recommend these professionals to your clients when the time comes. The other night, I was in (a LONG) line at the movie theater and happened to overhear the conversation of the woman in front of me. She was telling her friend that it looked like her company was going to be laying off some people in the next couple of months as they went through a restructuring. TA-DA! I pulled my business card out of my purse, said, "Excuse me, I couldn't help but overhear your conversation…" introduced myself, gave her my card, and told her to e-mail me her résumé and I'd critique it for her. Who knows … could be a client (or two -- I gave a card to her friend too). Keep your business cards on you at all times. This technique also works in bars, restaurants, grocery stores, etc. It's simple. It's concise. It tells you everything you need to know about working with Sally -- her contact information, her background, her areas of specialization, where she's located and payment options. In conjunction with a brochure -- or instead of a brochure -- a self-promotional fact sheet is something every résumé writer should have! Visit "Resumania" -- a web site created by Robert Half International "The Place for Real-Life Examples of How NOT to Write a Resume". You can use these examples in your newsletter, in news releases or in presentations, as long as you credit the original source (Resumania.com). With thanks to Louise Kursmark, here is a sample of a paragraph to include on your "work order" or "authorization to print" forms that will give you permission to fictionalize your clients resume and use it for resume contests and submissions to books. It's an "opt-out" form, because if client's DO NOT wish to give you permission to use their resume, they must take action to do so. I give permission for the content of my resume to be published in articles, columns, books, and industry-related publications or for use in resume writing contests, at the discretion of RESUME WRITER'S NAME, and with the understanding that ALL IDENTIFYING INFORMATION (name, address, name of employer, and so forth) WILL BE FICTIONALIZED to protect my confidentiality. If I do NOT give this authorization, I have "x'ed out" this paragraph. Need to drum up some business? Send out a postcard to your mailing list of existing clients … it's always generated me a half-dozen phone calls -- or more, depending on how long it's been since my last newsletter or postcard. Insert your contact information in the box provided (along with a special "reactivation offer" if you'd like) -- don't forget to include your return address on the right hand side of the postcard (see my sample for guidelines). You can also just use the FRONT side of the postcard, if you'd like, and create your own customized back side. Photocopy it onto brightly-colored cardstock paper and cut to yield an 5-1/2 by 8-1/2 postcard (2 per page). These postcards require $.34 stamps ($.37 after June 30, 2002). Or take it to your local quick printer and have it printed in color! You can also use VistaPrint (50% Off All Postcards) to create custom printed postcards very inexpensively! I often give my clients a list of interview questions they might be asked (compiled from a survey I did a while back, asking my clients to send me lists of actual questions they were asked). Along with it, I provide a short list of questions they should ask. 1. How long has this position been open? 2. What are the creative opportunities available in this position? What kind of individual control of projects will I have? 3. What are the company’s priorities, and what specific results would be expected from me in the first 90 days or so? 4. Is this a new position? If so, why was it created? If not, why did the person who held this position leave the position? 5. What kind of opportunities for advancement are available? 6. How many other professionals will I be working with? What is the title of my immediate supervisor? 7. Why did you (the interviewer) join the company? How long ago was that? What is it about the company that keeps you here? 8. Did my resumé raise any questions I can clarify? 9. Where is the job located? Does it require travel? How often? 10. What do you look for in an employee? 11. What type of training is required and how long is it? What type of training is available? 12. What would my first assignment be? 13. What are the skills and attributes most needed to get ahead here? 14. How regularly do performance evaluations occur? 15. Do you have a job description available for this position? 16. Are there any expansion plans for the company? 17. What are the opportunities for on-the-job training and further education? 18. Do you have a tuition assistance or book reimbursement program? These 200 additional questions are ones that applicants may ask recruiters, managers, HR pros and others. Share these with your clients!! What you write in your Yellow Pages ads can make the difference between you getting 3 calls a week -- or 3 calls a DAY. The more calls you get, the more clients you can book, and the more revenue you can make! Yellow Pages advertising is the NUMBER ONE source of new clients for MOST résumé writers. How can you maximize the money you are spending in this medium? 1. Focus on the READER. Remember, it's BENEFITS, not FEATURES. "Interview-winning résumés and cover letters," not "1- and 2-page resumes". 2. Emphasize CREDIBILITY. Include mentions or logos of associations you belong to. Mention your inclusion in résumé books/publications. Mention how long you've been around. ("10 Years in Business") and include Better Business Logo or Chamber of Commerce affiliation if you've got them. 3. Make it EASY for them to work with you. Mention hours of operation (either specifically -- MON-FRI 9-5 or DAY/EVENING/SAT. APPOINTMENTS). 5. Don't forget a CALL TO ACTION. At a minimum, this is your phone number, but it can also include your e-mail address and web site. Lead them in with "free resume critiques" or "ask for our free booklet, '10 Strategies to Make $1000 More At Your Next Job'" or whatever you can do to get them to CALL you. What's In Your Client Service Agreement? Do you outline your agreement with your resume clients in writing? If you don't, you should. Manage your client's expectations and protect yourself legally by capturing your client's signature on a document outlining the work process. You can take a look at my Work Authorization form here. Nona Pratz was also kind enough to share her Work Authorization in Resume Writers' Digest. A while back, there was a thread on the a resume writing association's e-list from a résumé writer who was having problems with clients referred to her by third parties. Basically, she was finding these clients to be ill-prepared for meetings and sometimes ill-suited to be clients. While some résumé writers are wondering HOW to generate referrals at all, those who are successful sometimes wonder HOW to maximize these referrals for the benefit of everyone -- client, referring source, and you! Think of it first from the referring person's point of view. How nice to have a resource to refer someone to, if it is outside your area of expertise (this includes job coaches, employment services, recruiters, etc. who don't provide résumé writing services themselves). The flip side to this is that they are taking a risk by recommending your services. If you don't do a good job, they look bad. Then there is the client. They are often pre-sold by being recommended by a third party. But they might not know much about your services, and you might make the assumption that you don't need to tell them much because they were referred by someone else. But they have a problem that needs to be solved, and they were told that you could help them. Finally, there's you. While it's nice to be needed, it is frustrating to try and work with clients who really aren't suited to the work that you do or who aren't prepared to do the work necessary to make the relationship succeed. You end up frustrated and ready to toss the "baby out with the bathwater" -- not wanting to take referrals at all. Let me offer a solution: Educate your referral sources. Set up a time to meet (bring along a thank you gift for the referrals so far) or take him or her to lunch. Say that you appreciate the referrals and you want to make sure that you are best able to meet the needs of the clients being referred. Share information -- how you manage the resume development/career search process, what clients need to prepare, etc. Give him or her materials he or she can pass along to clients he/she will be referring that clearly outline the process/benefits/your credentials (this might be your brochure or you might have some other communication piece for this purpose). One nationwide tips group, BNI, has a good way of handling the issues of referrals. They recommend asking, "If I were going to recommend your services to someone, who might be a good candidate?" Find out what common "problems" these clients share, what solutions they are interested in, what they "look like" -- in a mutual referral relationship. As you educate him/her, you also need to know more about the kinds of individuals your referral source interacts with so you can say (to a therapist, for example, who provides career coaching): "When they have narrowed down their job search target to a specific job description and can find job listings that match what they're interested in, they're a good candidate for my services. I'll work with them to develop a focused, hard-hitting résumé to help them specifically get interviews for that type of job." You might also add: "If they don't know what kind of job they are suited for/interested in yet, they're not ready for my services. Those are the kinds of calls I'll refer to you first." Also, make sure all your referral sources are on your newsletter mailing list (whether it's a print newsletter or an e-mail newsletter) -- continue to educate him/her just as you do your clients and prospective clients! You'll find that the clients that come your way are better prepared to work with you effectively (just as I've found that my best referrals come from clients who actually used my services, rather than from sources as you've mentioned -- such as employment services and recruiters). The quality of my referrals improved once I realized that these individuals often don't know how I work -- but want to make the process work for the people they refer as well. Think of it from their perspective too -- they're not going to continue to refer people to you if the feedback they hear is that the process didn't work -- and that's a lose-lose situation for everyone.